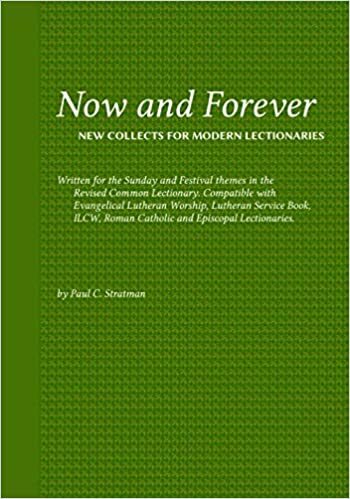 Now and Forever: New Collects for Modern Lectionaries is a complete set of prayers written for the Sunday and Festival themes in the Revised Common Lectionary. It is usable in worship, and the 208 prayers can also be used devotionally through the seasons of the church year. To introduce the book, we present Now and Forever: Easter Sampler, which includes prayers from the Easter Vigil through the Fourth Sunday of Easter (Good Shepherd). Individuals and congregations are free to use the prayers on a trial basis, and invited to purchase through Amazon.com where it is available in paperback and Kindle formats. 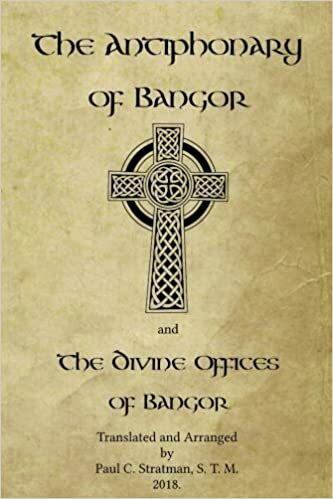 The Antiphonary of Bangor and The Divine Offices of Bangor is now available in paperback through Amazon.com. It is also available for Amazon Kindle. BANGOR was the site of an influential abbey and school in northeast Ireland. The Antiphonary of Bangor is a book of canticles and prayers that were used in Bangor Abbey’s liturgies of the hours with special prayers and elements for Easter Eve, Easter Day, Eastertide, Saturdays and Sundays and on festivals of Martyrs. It was written by hand, sometime around A. D. 680. It is significant for two main reasons. It shows us a worship tradition that developed in a different way than the Roman Rite. While some of the canticles, hymns and prayers in the Antiphonary are also found in the Roman Rite, many are unique. It also shows us some of the theology of the Celtic Christians. Book I – The Antiphonary of Bangor reproduces the Antiphonary with all items in their original order. Reference numbers are from F. E. Warren’s Latin edition. To have a better understanding of the use of these materials and put the items in order, I have arranged them in Book II – The Divine Offices of Bangor, a hypothetical reconstruction of what a Bangor Book of Hours may have been like, following the directions in the Antiphonary and Warren’s speculations in his notes. A new book of prayers is available from Northwestern Publishing House. There’s a Prayer for That. It contains 494 prayers, with many of them newly composed for this book. Two of them, 18. Presentation of the Augsburg Confession, and 84. Thanks for Freedom from Satan’s Power are by Pastor Paul Stratman, the editor of A Collection of Prayers. There’s a Prayer for That guides you in this continual conversation with God. This collection contains over 450 prayers, including some from Meditations Daily Devotional, for the people and situations in your life. Whether you are thinking about your family and friends, your future, or your faith, this book will guide you in prayer. God may not always respond in obvious or expected ways. Yet, the messages from Scripture included in There’s a Prayer for That assure you that his answers are lovingly given for the good of your soul. No matter what tomorrow brings, there’s a prayer for that, and there’s a loving Father who wants you to talk to him.